Note: Please allow additional 3-5 business days for embroidery and 8-10 business days for made to order items. Be stylish and flaunt the impressive painterly camo-style print. The Cherokee Women's V-Neck Abstract Print Scrub Top loaded with functional features and an enticing look is a treat for professionals at the workplace. How to Measure:	Determining the accurate size for your body is half the struggle. 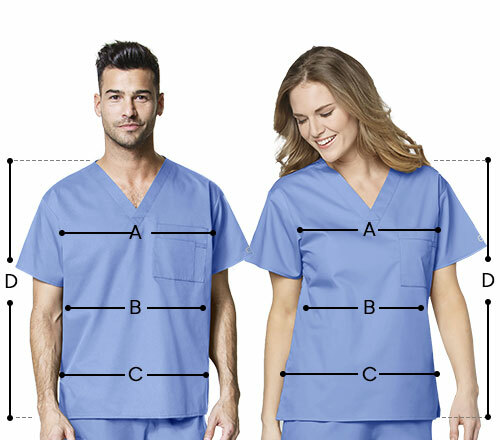 A perfect fit scrub does not only look smart and professional but also keeps you comfortable for thise long tiring days. Grab a measuring tape and get started. Make sure you grab the tape straight and snug not tight to your body.